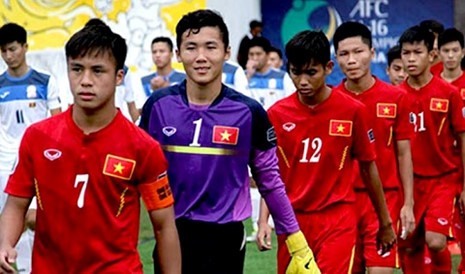 HÀ NỘI — Việt Nam’s U16 and U19 teams are in the No 1 seed group of the East zone to prepare for the draws of the Asian Football Confederation (AFC) tournaments, the AFC has announed. The U19 team entered the semi-final of the AFC U19 Football Championships last year, therefore at the qualifying round of the 2018 AFC U19 event, they are in No 1 seed group alongside Japan, South Korea, China and Australia. The No 2 seeded group consists of Thailand, North Korea, Myanmar, Laos and Malaysia. The No 3 seed group consists of Timor Leste, Singapore, Hong Kong, Chinese Taipei and the Philippines. Meanwhile, Macau, Brunei, and the North Mariana archipelago are in group four. Group five has Cambodia, Mongolia and Indonesia. There are 43 teams from Asian countries and territories participating in the qualifying round. They will be divided into 10 groups. The top team of each group and the five best second-placed teams will enter the final round. All the qualifying rounds will take place from October 31 to November 8. Like the U19 team, the U16 squad are chosen to be part of the No 1 seed group, which also has Thailand, South Korea, North Korea and Japan. The No 2 seed group consists of Malaysia, Australia, China, Hong Kong and Laos. The No 3 seed group has Timor Leste, Myanmar, Chinese Taipei, Singapore and Mongolia. Cambodia, the Philippines, Macau, Guam and the North Mariana archipelago are in group 4, while Indonesia and Brunei are in group 5. There are 45 teams participating in this year’s qualifier of the AFC U16 Championships to be held on September 16-24. They will also be divided into 10 groups. The 15 best teams will move to the final round alongside the hosts.